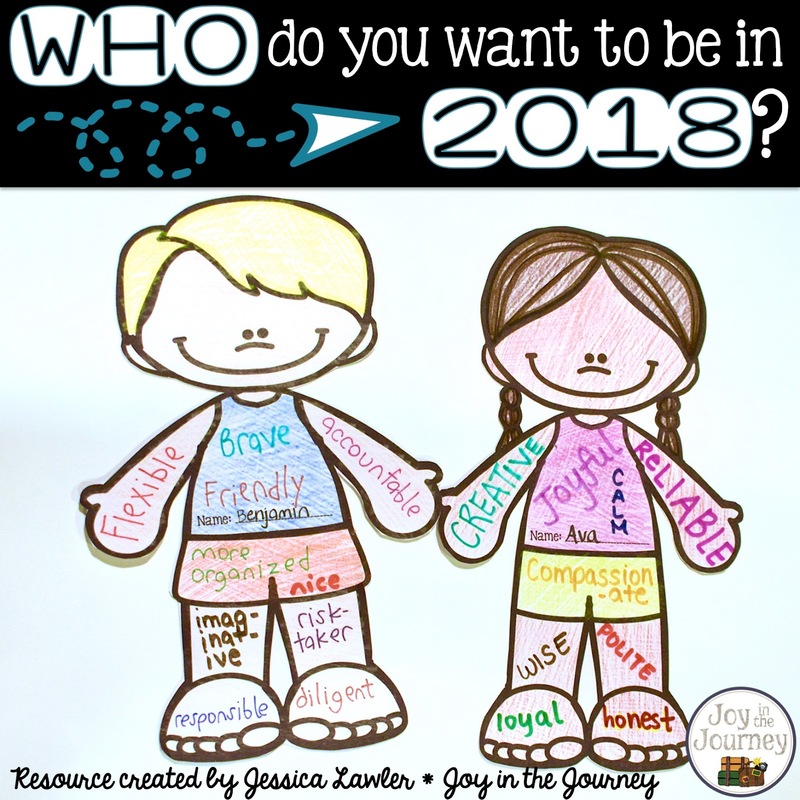 So many times my students are asked, "What do you want to be when you grow up?" And more than any other class, these students just don't know. I find that the question really stresses them out. So, I decided to take a different approach. I created an activity that focused in on WHO the students want to be, not only what. 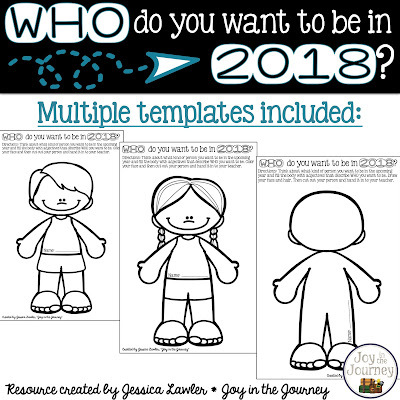 Engage your students with this fun print-and-go craft and bulletin board display that asks the students to brainstorm WHO they want to be in the upcoming year. 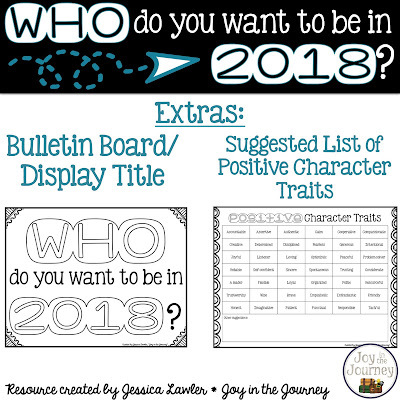 Encourage a growth-mindset as they think about positive character traits they hope to exhibit in 2018. 4. Instruct each student to draw/color the face and cut out the entire body to turn in. 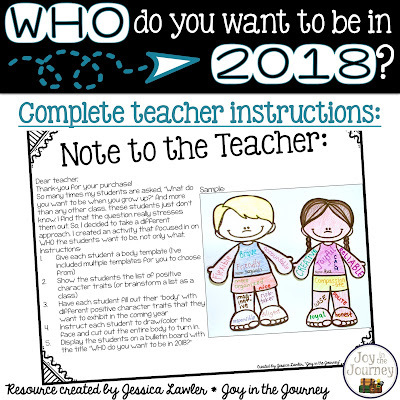 Grab this print-and-go resource and simplify your lesson planning today --> New Years WHO Do You Want to Be?